We set a lot of things on fire that one might call ‘unconventional’. Fire umbrellas are one of those things. Often seen as a segment in group variety fire shows, as fire props in cabaret, burlesque, or sideshow performances involving fire dancers. 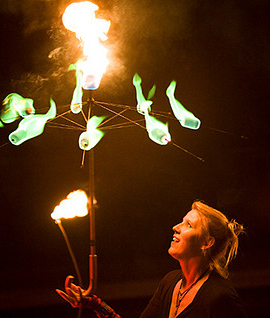 The fire umbrella can be manipulated in fantastic ways. Open/close, rolled across the body, spun, tossed, balanced, and much more. 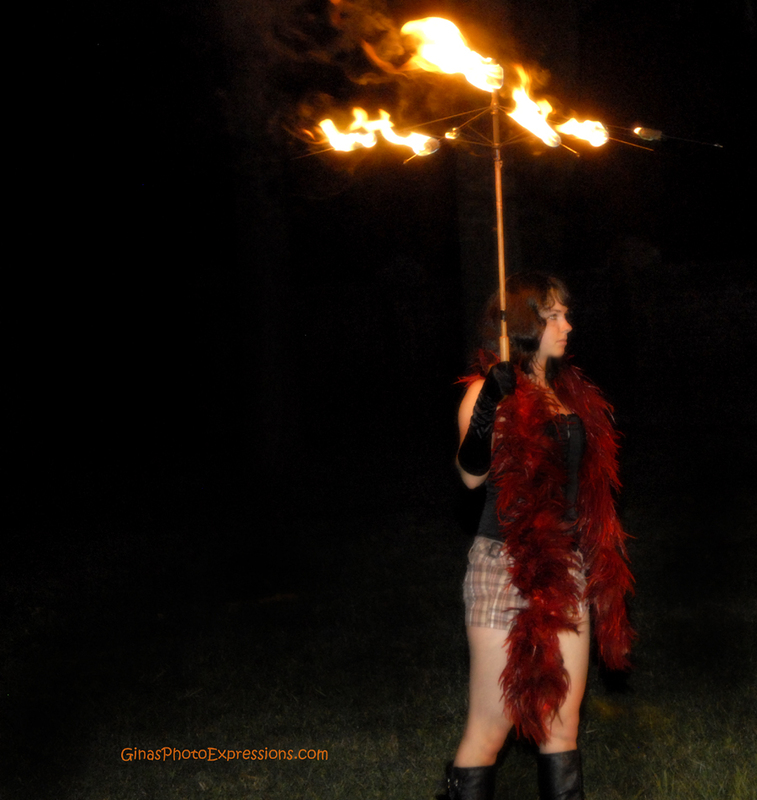 When set to music in a fire show, the fire umbrella can be an amazing addition to any show’s fire entertainment offerings.